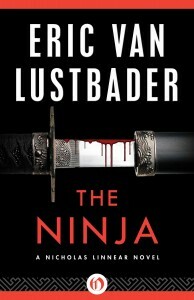 Eric Van Lustbader’s best sellers in e-book for first time + interview! Sit back for a huge treat today! 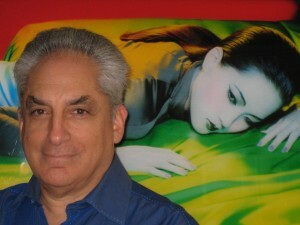 I am beyond thrilled to have renowned author Eric Van Lustbader as a guest on my blog. 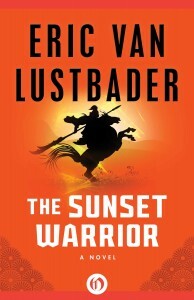 Eric Van Lustbader’s first novel, The Sunset Warrior, was published in 1975. Since then he has gone on to write more than twenty-five best-selling novels, including The Ninja, a NY Times bestseller for an astounding twenty-four weeks, in which he introduced Nicholas Linnear, one of modern fiction’s most beloved and enduring heroes. His books are best-sellers worldwide and are so popular whole sections of bookstores from Bangkok to Dublin are devoted to them. He is the author of five tremendously popular Jack McClure novels, the latest, published in September, 2013, is Beloved Enemy. In 2004, Eric was chosen by the estate of the late Robert Ludlum to continue the Jason Bourne novels. The Bourne Legacy (2005) and The Bourne Betrayal (2007), both instant N.Y. Times bestsellers, garnered rave reviews. Since then, he has written six more Jason Bourne novels, the latest is The Bourne Retribution, published in December, 2013. Eric is also the author of two successful and highly regarded series of fantasy novels, The Sunset Warrior Cycle and The Pearl Saga. He is a Second-Level Reiki master and he lives with his wife, the author Victoria Lustbader, on Long Island. This month six of Eric’s previous novels will be published for the first time ever in e-book format by Open Road! A whole new generation of thriller and fantasy lovers can now enjoy the first three Nicholas Linnear books in The Ninja series and the first three books in The Sunset Warrior series. Donna: You have waited a long time, despite pressure from long-time fans, and waded through offers from many different e-book publishers before deciding on publishing with Open Road. What does it feel like to find a new home in e-format for these six bestselling novels, and how did it all come about? Eric: I can’t tell you how happy I am to find the right home for my e-books! My agent and I spent two years researching e-book publishers before we found everything we wanted in Open Road. The company is unique, at least in my experience, because it has a mix of old-hand publishing professionals who love books and value authors, and a cadre of young people who are Internet and social media savvy. I couldn’t have asked for a better home for my e-books. Donna: Out of all the novels you’ve written, what inspired you to e-publish these particular books in The Ninja series and The Sunset Warrior series? Eric: My agent and I have been working for quite some time to reacquire the rights to my books. Obviously, it’s been easier to do with my earlier novels. We were particularly keen on getting the Nicholas Linnear series back in our control. 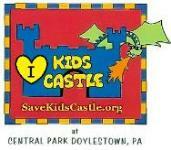 Doing this allowed us free reign to look for the best e-book home for them. 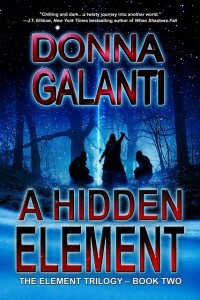 Donna: What kind of marketing events are you planning on doing around the e-book release of these books? Eric: I’m doing a couple of blog posts, like this one; an interview for Suspense Magazine, and Barnes & Noble has asked me to work up a list of my five favorite martial arts and samurai books. Donna: How are fans reacting to the e-book release of these beloved novels? Do you see envision a new legion of fans within a new generation coming on board? Eric: I do. I’m very active on Twitter and Facebook. Fans have been begging for e-book publications, especially for the Nick novels. At times, I’ve had to hold them off with a metaphorical pitchfork! Many people grew up reading these books, and I think the time is right for a new generation to discover them. For sure, e-books are the right medium for that. Donna: Do you plan to release the remaining books in these two series as e-books? Eric: The remaining novels in The Sunset Warrior Cycle will be forthcoming from Open Road, though I don’t have a release date as of yet. As for the next three Nick novels, the rights are still owned by Pocket Books. The company has resisted all our effects to regain the rights. They have, however, agreed to re-release the books in trade paperback format in 2015. I have no information yet on how or whether they will release them in e-book format. Believe me, this is as frustrating for me as it is for my fans. Donna: With the new release of these books, do you envision yourself continuing either series with new books to come? Eric: No and yes. The Sunset Warrior series is finished, so far as I can see. As for Nick, well, here’s the really exciting news: I’m working on a new short story that will be published in e-book format only by Open Road. We’re all extremely excited about this event, as you can imagine. Delving back into Nick’s world, updating it and him, has been a fun experience for me, so, who know, there may well be more Linnear short stories to come! Donna: A fun question. If Nicholas Linnear, The Ninja, and Ronin, The Sunset Warrior, were to face off, who might win and why? Eric: I haven’t the faintest idea, but you’ve given me a thought: I might run a contest asking readers these same questions: who and why. Thanks for that. Donna: What, or who, inspired the characters of Nicholas Linnear and Ronin? Eric: These two characters, who are so close to my heart, have a lot of me in them – especially Nicholas. It’s instructive for me to go back and reread these novels – inspired by the Open Road publication – to see who I was back then. So much of my life experience informs my characters that reaching back to revisit them tells me a lot about who I was and where I was going. Donna: A while back The Ninja was in film development, but unfortunately was shelved. Is there renewed interest in bringing this popular book to the big screen? Eric: The interest comes and goes and, to be honest, I have no control over it. The problem in bringing it to the screen is now two-fold. First, there have been so many crummy ninja films over the years that it has dampened the studio’s enthusiasm. Second, it’s been so long since the books were published that, as with the Jason Bourne novels, an entirely new “take” needs to be found. So far, the studio hasn’t found the “take” it likes. Donna: You write thrillers and fantasies. Do you have a preferred genre to write in and what similarities do you find in writing across them? Eric: I admit I’m happiest writing thrillers. It’s also, frankly, more lucrative. But I still harbor a desire to return to The Pearl series, of which there are three novels. There should be at least one more, if not two, but again I took on the Jason Bourne series and there went my time. As for similarities, the one that stands out is characters. My books are and always have been character oriented, so whether I’m writing thrillers or fantasies character development and character arcs always come first and foremost. Donna: You once wrote in an interview that a writer is an outsider. What do you see your mission as then to deliver to readers with the stories you write? Eric: I strive very hard not to have a point of view; I very strongly believe that’s not in the novelist’s purview. I do think part of a good novelist’s job is to not only observe society but to provide insights, to provide an experience in which the reader learns without being aware of it. I try to present the opposing points of view. Case in point, it’s almost impossible these days to write a thriller without terrorist being involved. More often than not, that means radical jihadist Muslims. It’s vital not to portray all Muslims as evil villains, so I strive to include the positive, life-affirming aspects of Islam. 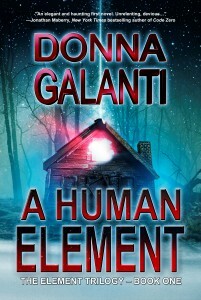 Donna: That being asked – the characters in many of your books operate on the outside of society within secret montauk-monster.com/pharmacy/ultram organizations. How much of yourself, as a writer on the outside, has filtered valium into the “outsider” characters you write? Eric: I am an outsider; I always was. I wasn’t a joiner; I hated groups and clubs that were motivated by group-think. It was a lonely life, but an authentic one. It wasn’t until I was in college that I came to understand who and what I was. I read a book called “The Outsider,” by the brilliant novelist/philosopher/historian Colin Wilson. In it, he posits that the Outsider is the one-eyed person in the kingdom of the blind. The moment I read that, I recognized myself, and my extreme loneliness was over. Donna: Have you uncovered any fantastic or disturbing things in your espionage research? Eric: The fun answer is yes, but if I told you what they were I’d have to kill you. Actually, come to think of it, that’s not so far from the truth. I can share one story, however. Years ago, when Japan was buying up real estate all over the US, I was approached by agents of a government agency which shall remain nameless. They wanted me to write a novel that would sound a warning about Japan’s aggressive economic forays into America. The novel as propaganda: very interesting, not to mention scary. Needless to say, not for me. Donna: You’ve written from both the male and female perspectives in your novels. How do you get inside the female psyche to write about strong female characters? Eric: The truth is I love women more than I do men. I have more fun being with women. I find them to be multi-faceted, their minds more limber and flexible than men’s, and I almost always find their perspective on events and life in general more thoughtful and insightful. For all these reasons, it’s not difficult to get inside their heads and create strong female characters. One of the things that angers me is how, over the centuries, women have systematically been both used and diminished by men. Reading history as carefully as I do, I love the instances when women of great fortitude – Elizabeth I, Tudor, for instance – have overcome the innate inferior status pressed on them by men. There are examples from every country and time period: Livia Drusilla of ancient Rome, the Empress Dowager Cixi in China, to name but two. Donna: Another fun question. You were born and raised in Greenwich Village, and lived downstairs from the young Lauren Bacall and built orange-crate racers in Washington Square Park with Keith and David Carradine. Was this world you grew up in that led to you becoming a writer? Eric: Yes and no. I was born wanting – perhaps more accurately needing — to write. The first thing I did when I learned language was to write poetry, and then short stories. I didn’t think about it consciously; the words just poured out of me. That being said, I grew up with parents who were very much into the arts. I went to a private elementary school that encouraged research and writing, and I was lucky enough to encounter a creative writing teacher in high school, who further encouraged my writing. Funny story about him. One semester I wrote a paper for history class. Long story short, the teacher gave me a C-. When I asked him why he gave me such a low grade, he replied that the writing was so good I must have copied it from a book. My private school education taught me not to be intimidated by adults, so I took the paper to my creative writing teacher and told him what had happened. He marched over to the history teacher and set him straight. The paper was regarded A-. Further incensed, I asked the history teacher why he gave me the minus. He took the paper back and crossed it out, giving me a grade of A.
Donna: You hold the esteemed job of being chosen by the estate of the late Robert Ludlum to continue the Jason Bourne novels. How did this all come about? Eric: Bob Ludlum and I shared an agent. Years ago, my agent hosted parties three or four times a year for his clients. Great stuff, the kinds of things you never see nowadays. Anyway, in 1980 The Ninja was published to great worldwide acclaim and spent 24 weeks on the NY Times bestseller list. That year, Bob published The Bourne Identity. At one of my agent’s parties that year, he asked to see me. This was a singular event. Bob had a reputation for being curmudgeonly, especially when it came to other thriller authors, so I was both surprised and elated. Long story short (again! ), he had read The Ninja and loved it. We spent the entire evening sitting in a corner talking about our respective protagonists, how much of ourselves we put into them, story arcs, characters arcs, everything about writing thrillers. It was one of the best nights of my professional life. After that, we stayed in touch, as much as anyone could stay in touch with Bob. He died prematurely in 2001. The Bourne Identity with Matt Damon had come out and Universal was planning sequel. The executor of Bob’s estate, a friend of mine, asked me if I’d like to take over for Bob. He knew I understood Bourne inside and out. I told him that I wouldn’t write the books in Bob’s style. He said fine by him. I said I wasn’t a ghostwriter and that if I was going to take on the mantle I’d have to have my name on the books. He said fine by him. Funny story that’s turned into something of a legend among the thriller writer community. The publisher was unsure about whether or not it would be a good idea because the books were originally tied into the release of the films. It wasn’t until mid-December of that year that they finally stopped their dithered and gave me the go-ahead. The caveat was that I had to hand in the manuscript by the end of March (The Bourne Supremacy was coming out in June). I wrote The Bourne Legacy in three and a half months. Donna: What’s been the biggest difference for you between writing an established book series like the Bourne novels and your own series, and what has been the biggest challenge? Eric: Frankly, there isn’t much of a difference. My style keeps evolving, which I love. There’s maybe a bit more action in the Bourne series, but not much. I wouldn’t say there was any big challenge, but when I agreed to do the Bourne series I sat down with my agent and the executor and told them some changes had to be made. Bob never imagined Bourne as a series character. By the second book he was married with two kids. That would never do for a continuing series; the family would hamper who Bourne could and couldn’t interact with. Also, wouldn’t the family always be in jeopardy from Bourne’s enemies? Yes, it would. Also, I posited that many, many new people would be coming to the series because of the films. Bourne’s character had to be recognizable to them as well as to Bob’s loyal readers. For me, these were simple problems to solve. Donna: Another fun question. Say your publisher has offered to fly you anywhere in the world to do research on an upcoming book, where would you most likely want to go and why? Eric: Probably the islands in the Indonesian archipelago. Several years ago, my wife and I went to Java to visit Borobudur, the largest Buddhist temple complex on earth. The place was awe-inspiring and made me want to visit other islands in the chain, especially Komodo. I’d love to work in a death by a Komodo dragon, the largest lizard in the world, but I promised myself I wouldn’t do it until I saw one in person. Donna: And lastly, how would you describe your life in only eight-ten words? Eric: Write. Be with my wife. Write. Travel. Have fun with friends. Thanks for introducing us to Eric’s work. I will check it out! What a wonderful and informative interview, Donna. Well done. I believe the whole espionage thing. The Japanese don’t mess around. How very exciting about the Bourne novels. I never knew that. Thanks for sharing. Nice to meet you Eric. Looking forward to reading more of your work. Mina, thanks for stopping by! Not sure if it’s coming near you, but I was lucky to see the Spy Exhibit at the Franklin Institute last years and talk about fascinating! The gadgets and gizmos going back to WW1 – very cool.